Promoting healthy living across the lifespan for all residents. A broad cross section of community members working to create a culture of wellness in Crawford County. We focus on community level changes that impact health. Our vision is for everyone to have the equal opportunity to be healthy across the lifespan. 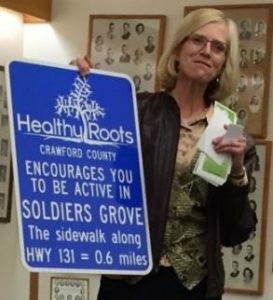 Mileage Marker Signs Healthy Roots provided signs to seven local communities, marking the mileage of a safe walking route within their borders. This is a way to encourage people to be active while utilizing assets their community already has. Run Like a Girl Healthy Roots member Angie Kramer organized this running club at a local school for girls in grades 3-5. In 2017, the program expanded to include two elementary schools with 30 girls participating. The girls meet weekly for self-esteem building lessons, a healthy snack and a group run. 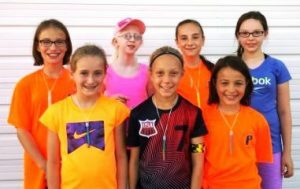 If you are interested in leading a Run Like a Girl program, contact Healthy Roots. Wellness Training was offered as an in-service topic to help school staff commit to small changes that will have a big impact on student health. 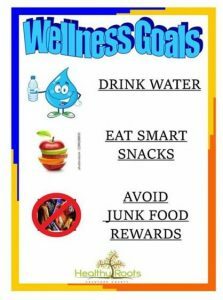 Three wellness goals were highlighted in this poster strategically placed throughout the school building. On-going communication with schools helps strengthen these efforts. Check the DPI Active Schools website for additional information. Summer Family Fun Challenge. This challenge encouraged families and individuals to explore the parks and playgrounds in Crawford County. We have many parks and playgrounds and are encouraging all residents to be physically active at these wonderful places located throughout the county. In 2016, family events were held at 5 parks throughout the county. These events had fun active games for families to do together at the park. 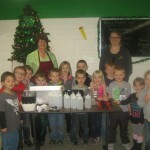 Crawford County Farm to School introduces students to local foods and producers and expands the use of school gardens. Healthy Lunchrooms Healthy Roots offered schools an opportunity to participate in a mini-grant focused on creating a cafeteria that encourages students to select healthy menu options by changing the lunchroom environment. Schools used Smarter Lunchroom tools, developed by WI Department of Public Instruction, to identify areas of their lunchroom they could change to create an environment to nudge students to make healthy choices. Healthy Roots worked with food service directors and purchased supplies and/or equipment that helped them accomplish this goal. Healthy Concession Stands. In our conversations with parents, we know that often busy schedules lead to family meals eaten at sporting event concession stands. 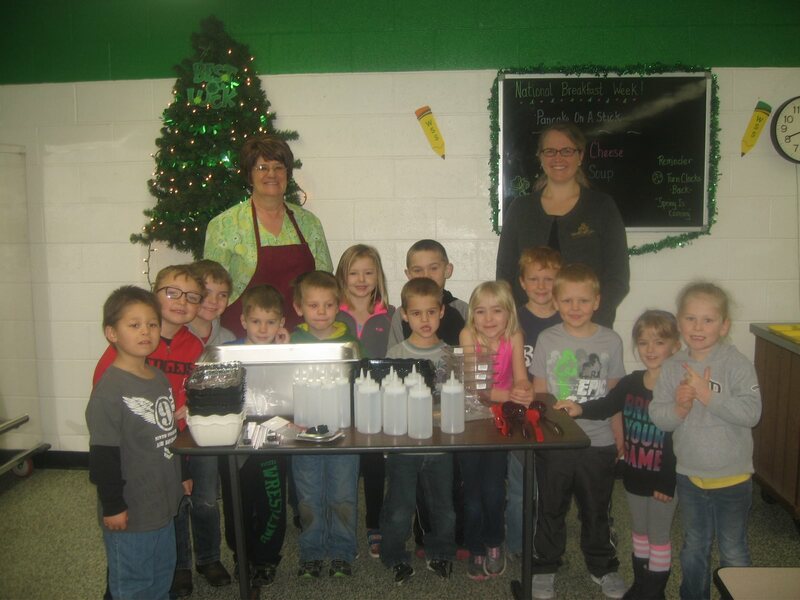 We are encouraging local concession stands to include healthy options in their stands and offering resources like this Healthy Concession Stand Model. Healthy Kids Menu’s. This is a developing project for Healthy Roots. We will be encouraging local restaurants to offer healthy kids meals, that may include smaller portions, fruits, vegetables, and milk. Ready Set Grow! 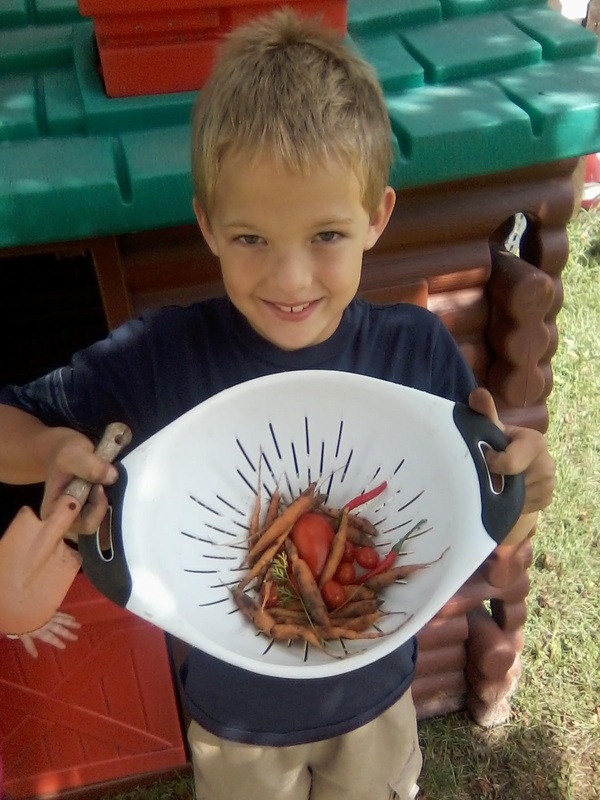 This 2015 project focuses on making gardening with children happen at day care centers around the county as part of its on-going efforts to encourage children and their families to eat nutritiously. Child care providers are invited to a workshop which will not only show easy ways to garden with kids, but will also explore how gardening can be incorporated into a variety of learning activities. Healthy Roots provided free bucket gardens and raised bed garden boxes. See Ready Set Grow – Healthy Roots Flyer for details. Crawford County Resource Guide. As part of the Maternal Child Health Grant through Public Health we have brought together a task force to develop a county resource guide to help families and organizations access the help they need. The Crawford County Resource Guide is now available on-line and will be updated on a regular basis. Harvest Dinner This annual event highlights healthy locally grown food. In the past the event raised funds for local farmers markets. It has also been used to support the website and e-newsletter of Driftless Wisconsin Grown, a local food alliance. Fed Up Movie Showing and Discussion. Healthy Roots co-sponsored the showing of the FedUp movie with Driftless Wisconsin Grown. Crawford County Fair. Healthy Roots began sponsoring walks at the fair since 2014 . These walks got fair participants moving and provided prizes that would keep them moving at home. Crawford County on the Move. Healthy Roots co-sponsored this 9-week walking/running program in 2014-2016. The program is offered throughout the county and provides support to participants to increase their physical activity and eat healthy. If you would like to get involved or are looking for more information about Healthy Roots and our activities, contact the Crawford County UW-Extension Office at 608-326-0223. 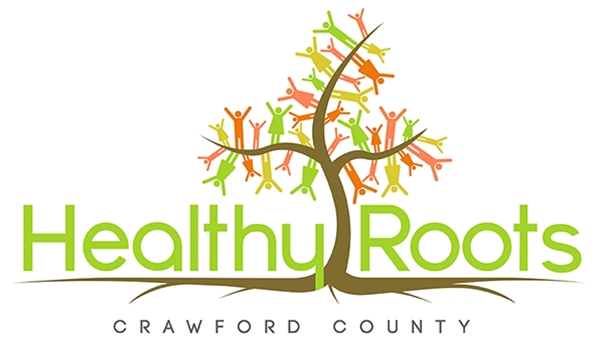 Healthy Roots meets on the fourth Monday of each month from 1:00-3:00pm in the Crawford County Administration Building, 225 North Beaumont, Prairie du Chien, WI.